Lisa Keeling, Office Manager, will greet you with a smile during your next and every visit. She’s in charge of the day to day operations and will help to ensure you are headed on the path for you to reach your highest potential. Look to her to make sure you are utilizing all that our unique practice has to offer! Priscilla Friscia, CHT, has over 18 years of experience in the Natural Healthcare Field. She is a Holistic Mentor, and has been certified in hypnosis since 2004 through UP Hypnosis Institute, a Charter/Lifetime Associate, and Certified Trainer. She acts as an assistant to Dr. Terry (and Lisa) and is an invaluable asset to the team! 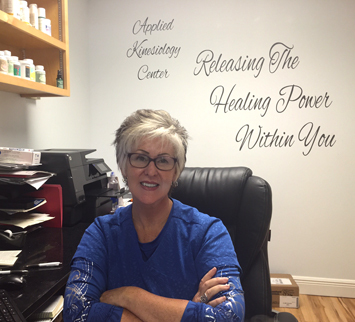 Carol Conrad, Chiropractic Assistant, is in charge of the day to day operations and will help to ensure you are headed on the correct path for you to reach your highest potential. 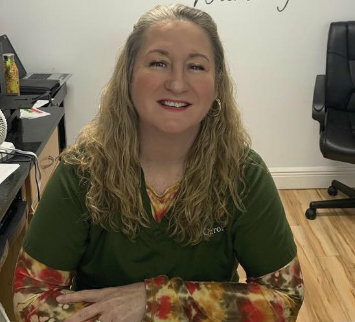 In addition to front desk responsibilities, Carol also performs Restorative Therapies and is a Certified Reiki Master. She also assists Dr. Hambrick in the Treatment Rooms.